Why Am I Pooping Sad Little Balls? Hohkay! We have some poop talk happening today! My dear friend emailed and said she was only pooping sad little balls. Poor thing. That made me sad, so I put together some ideas to get her poo back on track. Here's the full scoop on the sad little poop! Hey Mon, I'm not sure you want to hear about this, but my poop has been coming out in little balls lately. From what I research, it's a lack of hydration in the colon, but I drink freakin water all day long!! It could also be sugar, processed food and alcohol (just wine in my case). I love my wine, but I've cut back a lot. I've never been a big processed food eater, but it could be the sugar. The halloween candy has been a-flown into my mouth as of late. I think I need to do a little detox. Also, from your article I gleaned that it's a vata thing and I need to eat more oils/fats. I'm not really sure how much tho? I'm already dealing with a hefty 5lb increase because of those damn candies, so I don't want to increase this too much. Overall, you need to incorporate more oils and grounding foods. The poo gets all stuck up in there because they are too dry, which makes them light and hard. Oil is heavy and lubricating which will help the poop slide out. 1. 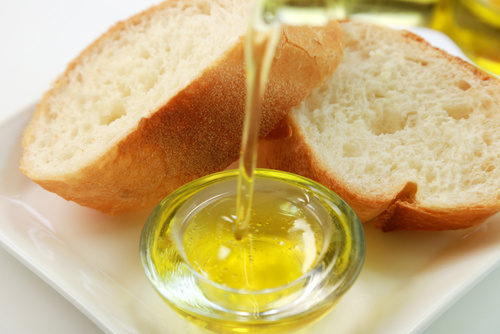 Drizzle oil on sauteéd veggies, on your hummus, or dip your bread in olive oil. Olive, coconut, and ghee are my favorite oils to use. Anti-aging tip: when we dry out we look older and age faster. Our bodies are kept youthful with the right amount of oil. 2. Incorporate avocado, salmon, walnuts, almonds. These foods will keep us satisfied so we don't crave crunchy dry snacks like pretzels, rice crackers, popcorn, etc. Those are all dry foods, which don't help the poop sitch. 3. Bring in warm, grounding foods like rice (not brown! ), mashed potatoes, sweet potato (excellent! ), warm beets, hearty soups. Thai food, noodle soups, and anything that is warm and saucy will definitely help. 4. A warm, breakfast like oatmeal, cream of wheat or baked apples with cinnamon might help. Add a little ghee to any of those and you'll likely poo in a couple hours. 5. Even FRIED foods would help! Like french fries! You totally have my permission. 6. Prunes. Sorry, dried plums. Soak 3-4 of them in water over night. Then eat them in the morning on an empty stomach. Sip some warm herbal tea or warm water all morning until you poop. Don't eat anything else until you go. You will likely poo in 1-4 hours, depending on the person. For diet & lifestyle guidelines to help you avoid the dreaded little poo balls, download the vata quick guide. Why do these things work? Because little poop balls is a vata problem caused by dryness/ dehydration in the colon. Drinking more water isn't always a cure because water isn't heavy or lubricating enough to pull out the poops! Oils do that! Water is helpful for hydration but in this case you need oleation. Healthy oils and fats settle the nervous system, feed the brain, and nourish the tissues. When the tissues are properly nourished only THEN do we expel the waste products (poop, pee, sweat). If the tissues are not nourished properly, the body will hold on to the waste as a type of nourishment. Crazy, hey? There are actually several reasons why you might have sad little poop balls but I hope you try some of these and they help you. Remember, overall you need more oils. Keep drinking the water also but water is not enough to help the root cause of dryness. If you feel brave let me know if this helps you in the comments below! Keep bringing Ayurveda to life!